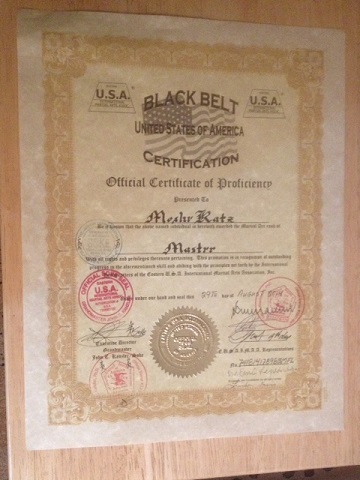 The value of an instructor is measured only by his ability to teach and pass on valuable knowledge. 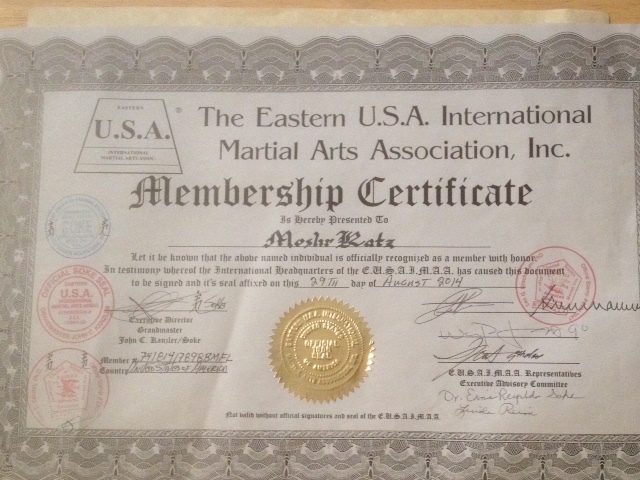 I present these ranks and awards only as a means of establishing background and legitimate accreditation. 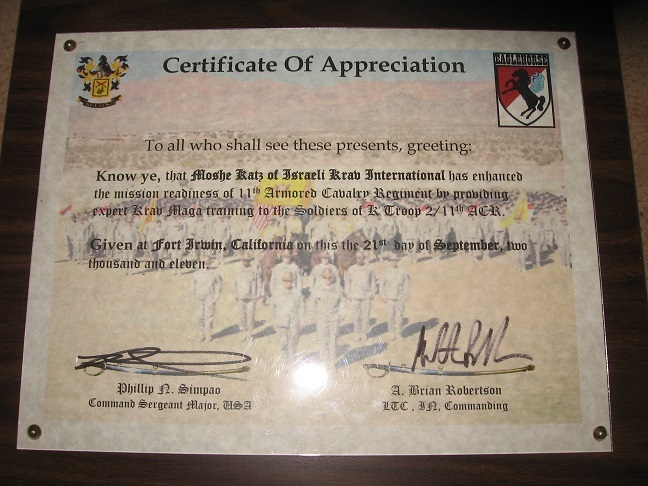 All ranks and awards can be verified at the source. 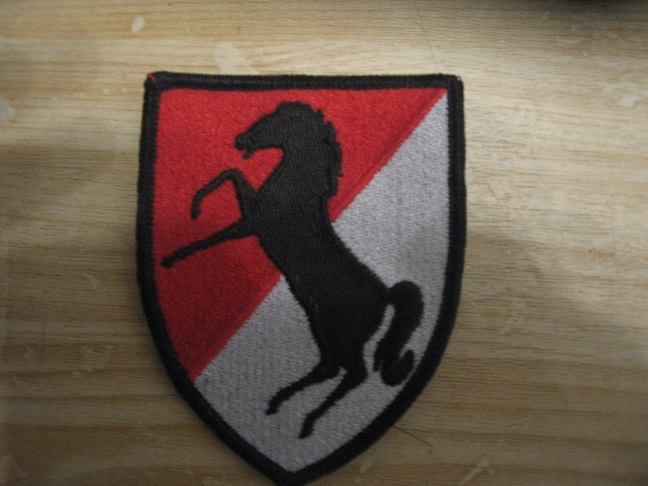 The ranks below represent only a sample of ranks and recognition awarded to me. 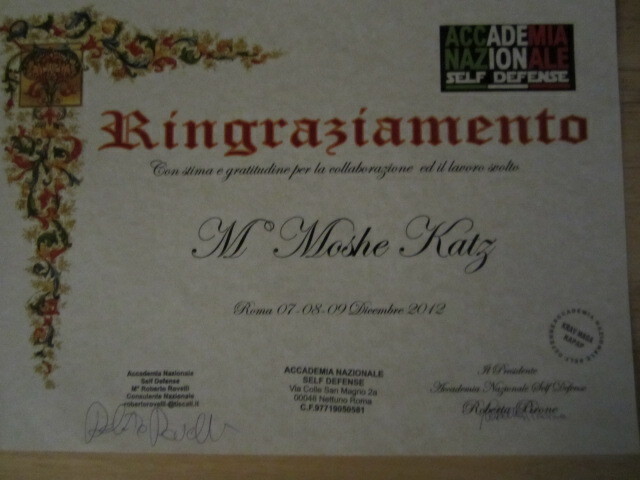 "Moshe Katz, sometimes a diploma is more valued than the recipient. 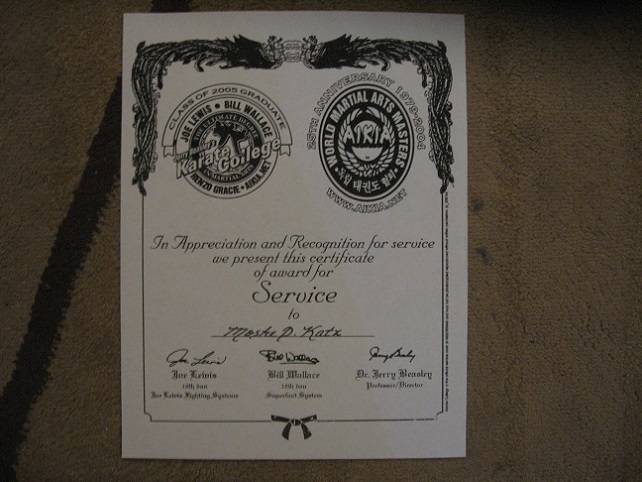 Sometimes the recipient is more valued than the certificate." 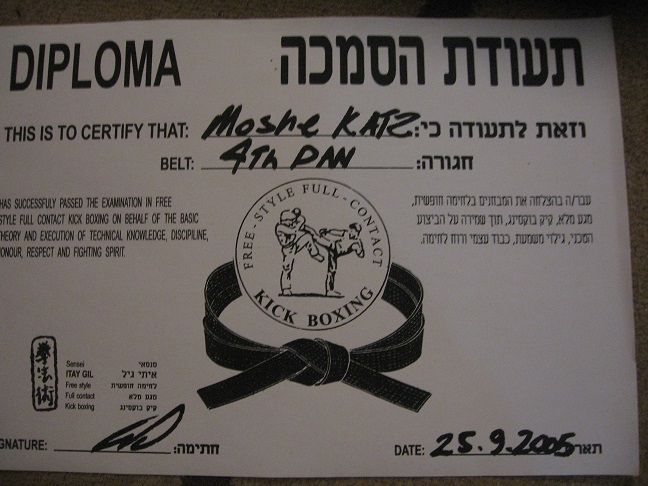 Fourth dan Black Belt, Free style Kickboxing, Itay Gil, September 25, 2005, Jerusalem, Israel. 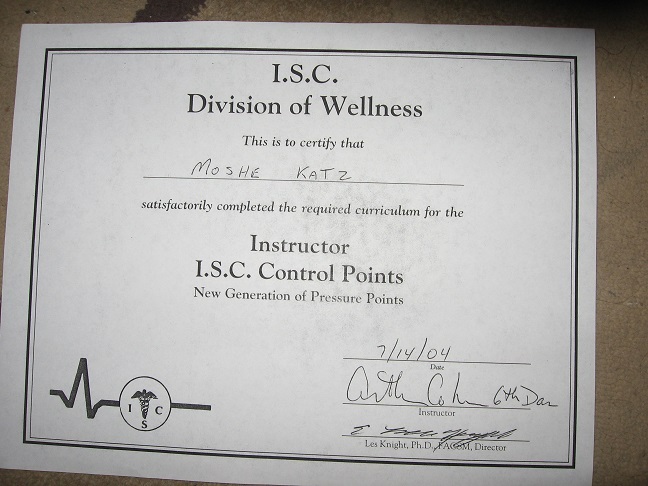 ISC Control Points, Instructor certification, Prof. Arthur Cohen, Dr. Les Knight, July 14, 2004, New York, USA. 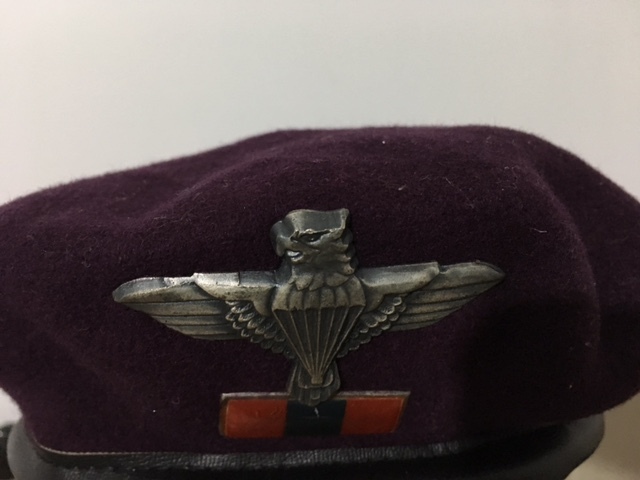 The above are only a partial listing of ranks earned over the past 30 years. 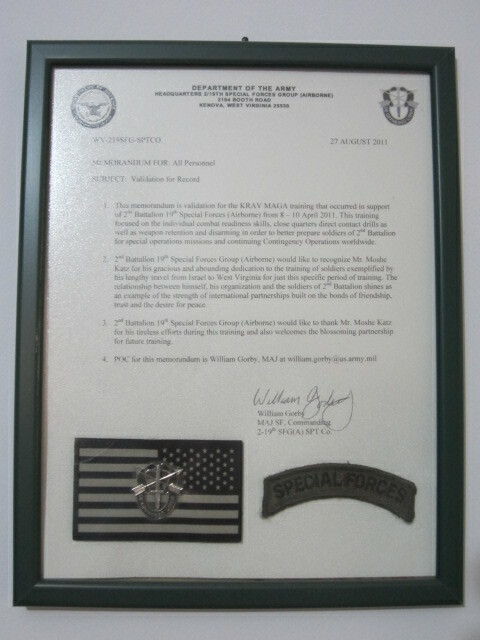 Department of the Army, US Special Forces, letter of Appreciation, August 27, 2011. 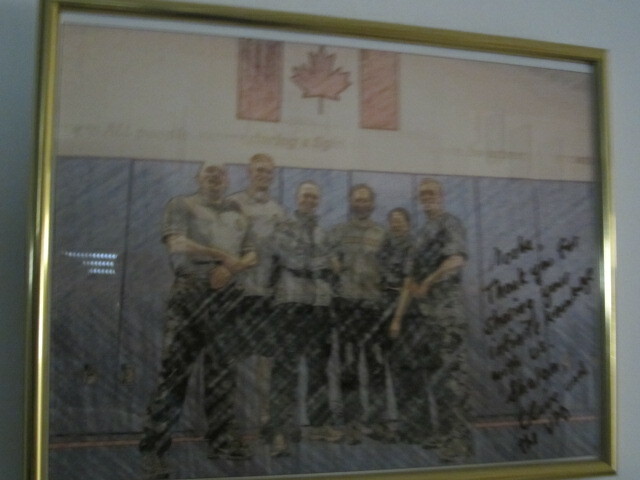 Appreciation Award from the Police trainers of the Vancouver Police Department, Canada, February 2012. 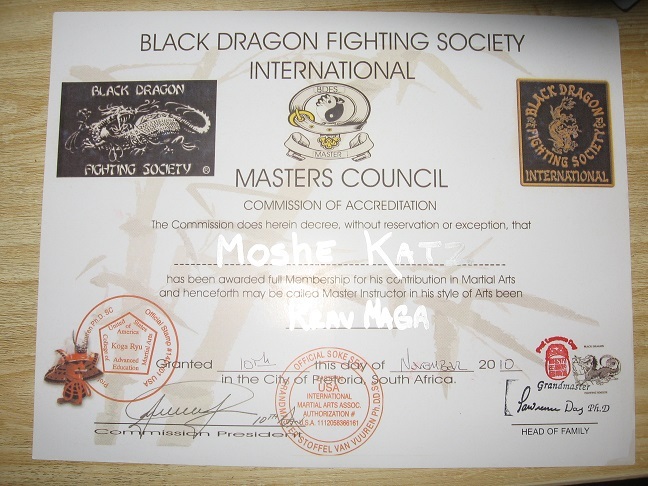 Membership, Black Dragon Society, Masters Council, Awarded November 10, 2010, USA. 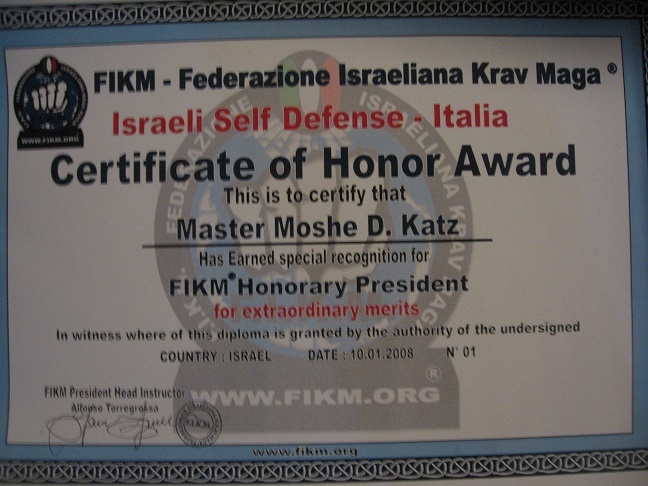 An honorary award of recognition. 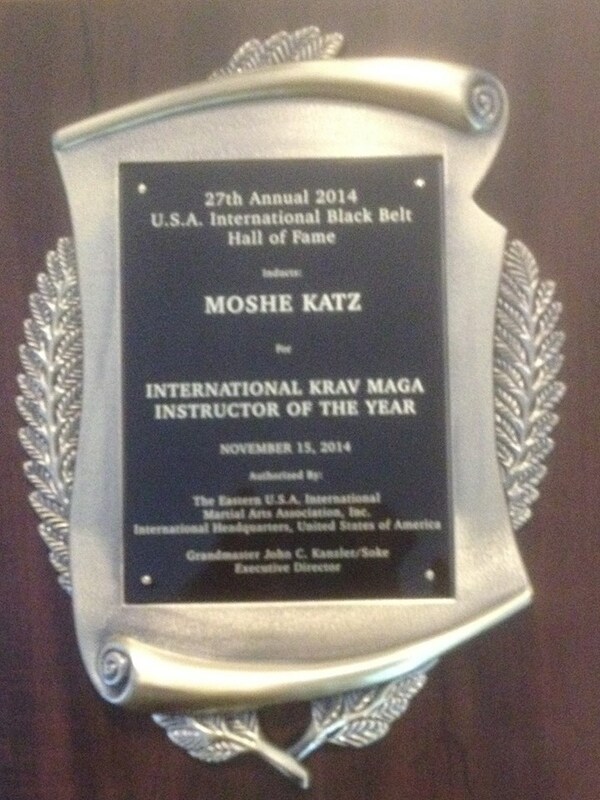 Outstanding Martial Arts Instructor Award. 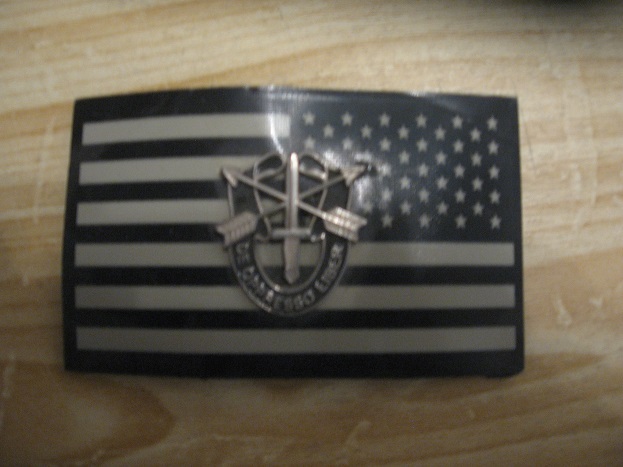 Medal of honor. 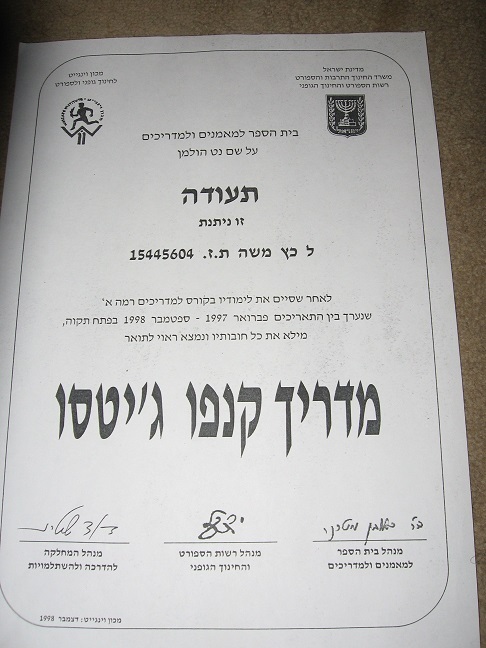 Jerusalem municipality, martial arts center, award for the promotion of self defense for women, 1999. 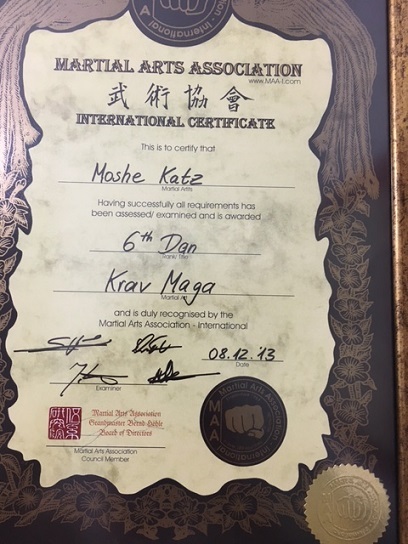 A leader in the movement for women in martial arts and one of the promoters of the first ever martial arts seminar for women. 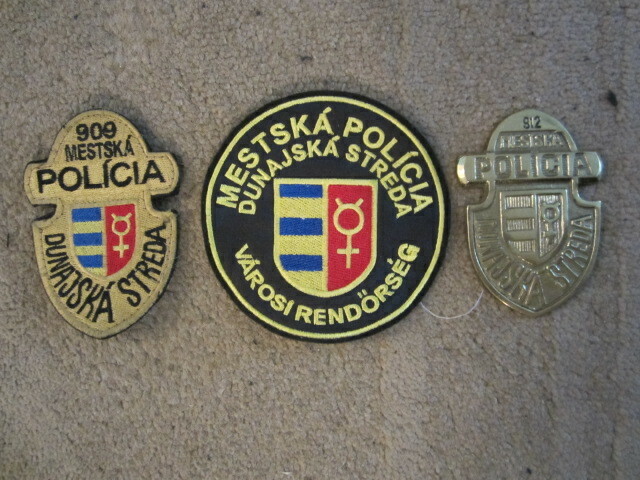 Awarded in appreciation by the Dunajská Streda police department, Slovakia, in recognition for training them in Krav Maga. 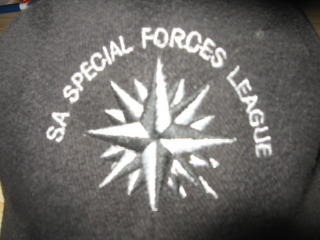 The above are only a sample of the awards received during many years of devoted service. 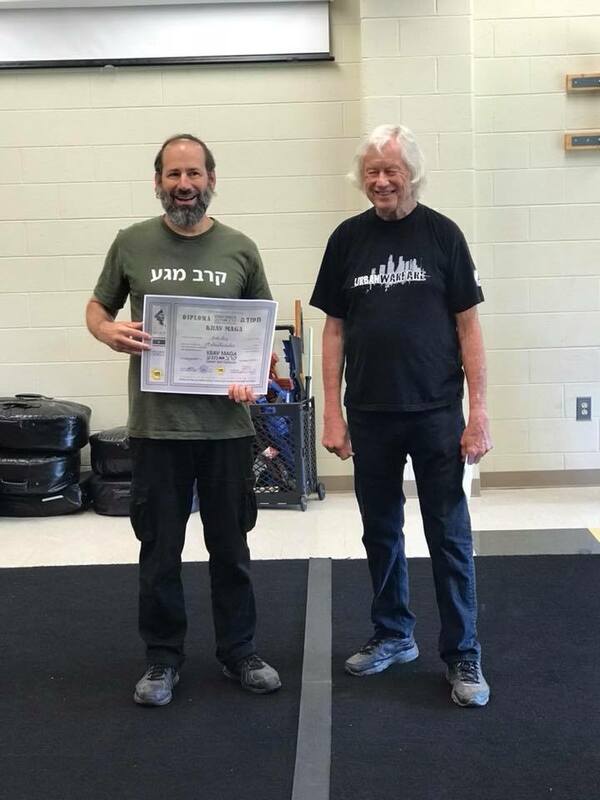 The main award is one that cannot be photographed; the countless lives that have been transformed, changed for the better by Moshe Katz's Krav Maga training. 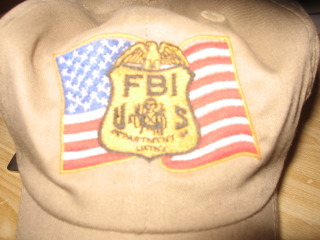 The following are some of the ranks I have been awarded. 4th dan Black Belt Krav Maga - Itay Gil, September 25, 2005, Jerusalem. 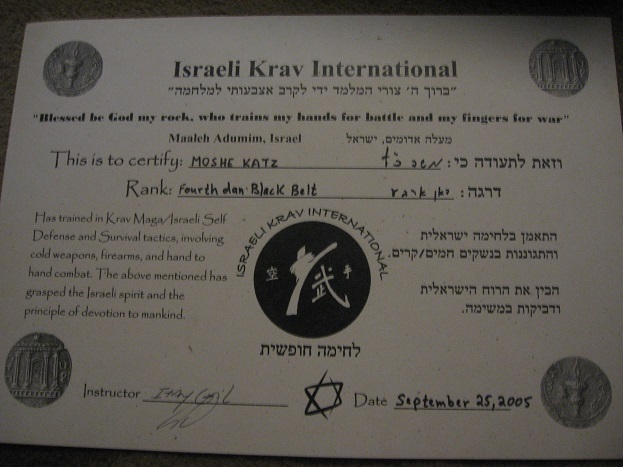 3rd dan black belt Krav Maga - Itay Gil, March 12, 2002, Jerusalem. 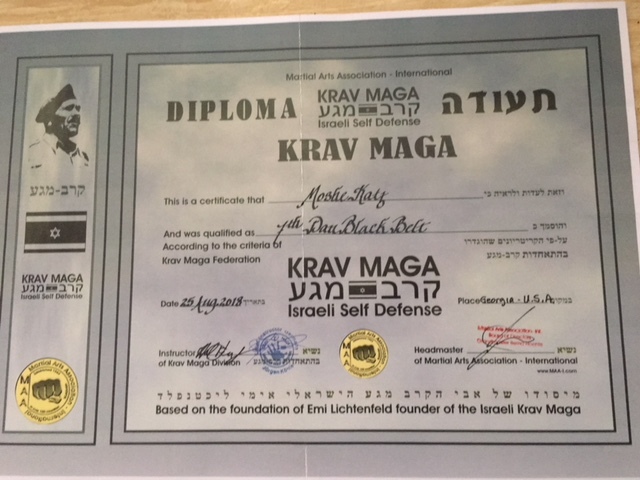 2nd dan black belt Krav Maga - Itay Gil, March 16, 1999 Jerusalem. 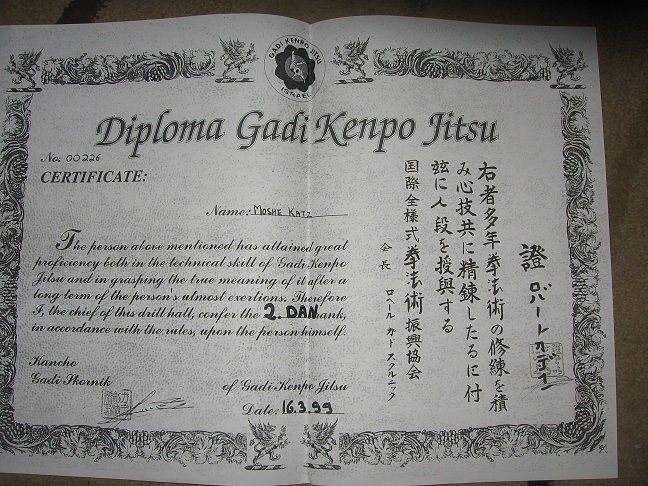 5th dan Black Belt - Jujitsu, United Black Belt Federation, November 11, 2008. 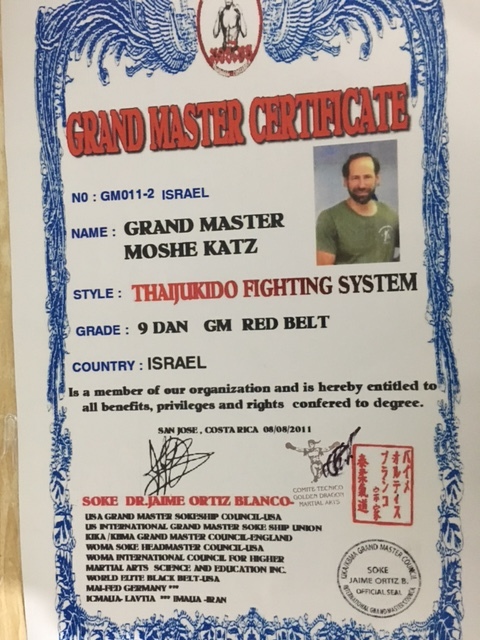 2nd dan black belt Free style Kickboxing - Itay Gil, March 16, 1999 Jerusalem. 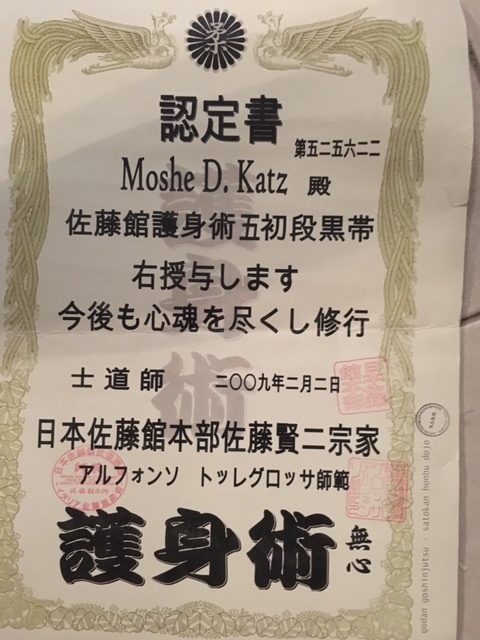 3rd kyu, Oyama Kyokushin Karate, 1989. 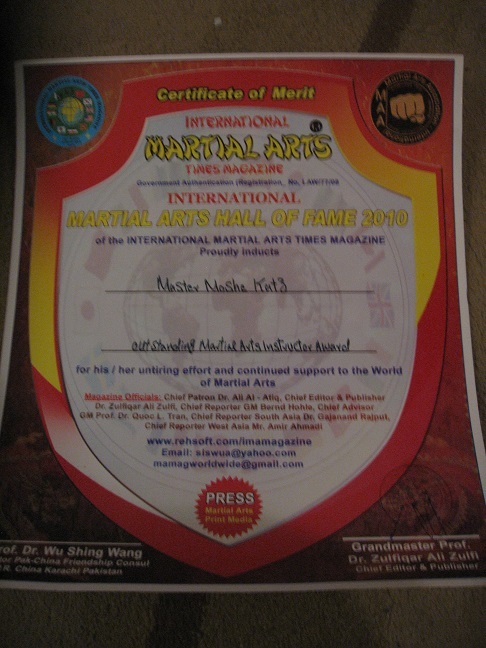 2011 - Ambassador of the Martial Arts World, JOB Defense Systems. 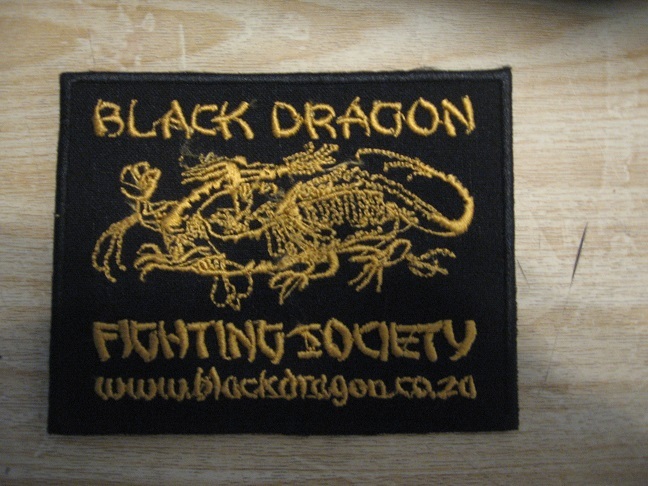 2010 - Inducted in the Masters Council, Black Dragon Society. 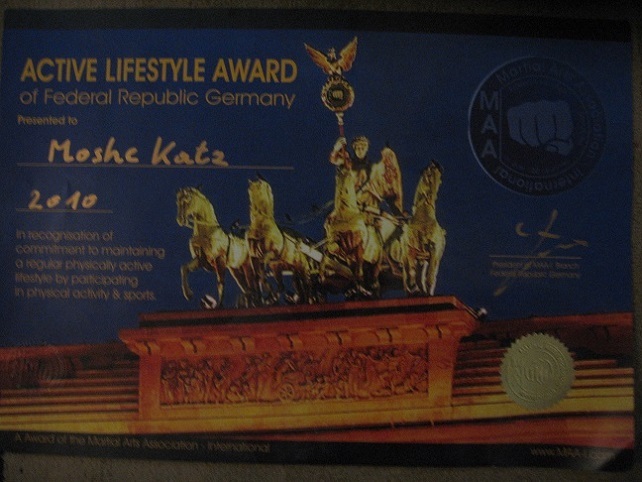 2010 - Active Lifestyle Award of Federal Republic Germany. 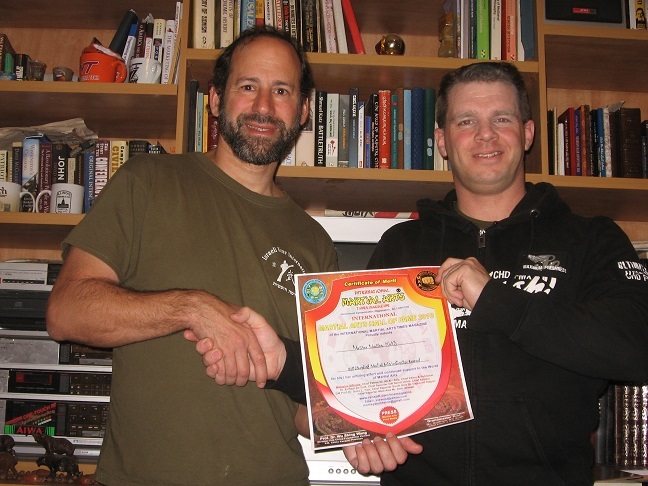 2009 - Golden Dragon Free Style Martial Arts, for efforts to promote schools and martial arts in Costa Rica. 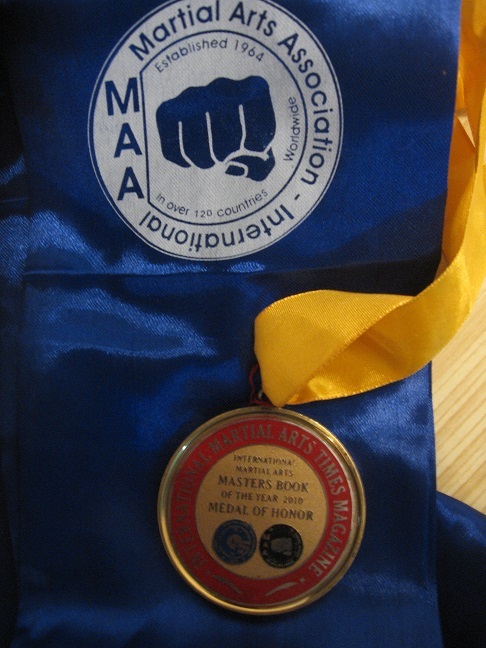 2005 -Martial Arts Service Award, World Martial Arts Masters. 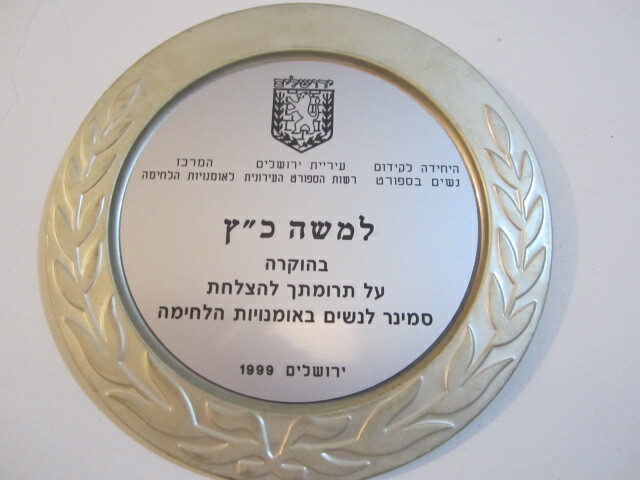 1999 - Jerusalem municipality award for the advancement of women in martial arts.